Bluegreen Getaways Partnered with Elvis.com to give away a vacation fit for a king. The winner just returned from his family trip to Las Vegas. Pete S. of Beaumont, CA, won a trip to Las Vegas. His prize package included a 7-night stay at Bluegreen Club 36 Resort in a Presidential Suite- 2,500 square feet of elegance, including three lavish bedrooms, a kitchen and an entertaining media room. Pete also received $2,500 in cash. Pete was casually surfing the Internet when he saw the contest fit for a king and decided to roll the dice on a Las Vegas getaway. “I was really happy when I found out I won,” Pete said. “I called my wife right away to let her know.” Pete vacationed with his wife and two children. He says the prize made for the ideal family trip, because Las Vegas happens to be only three hours from where he lives. 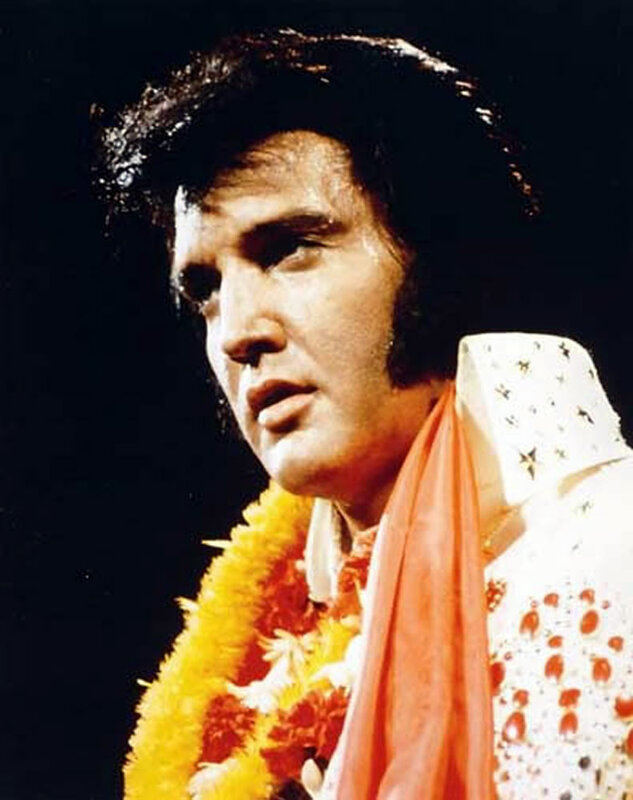 Bluegreen’s strategic partnership with Elvis.com was designed to bring more than just vacation packages to the site’s audience. “The sweepstakes was created specifically for Elvis Presley Enterprises to give fans a chance to win a great experience from Bluegreen Getaways,” said Marco Merida, Vice President of Marketing Alliances for Bluegreen. “Elvis Presley Enterprises is proud to have partnered with Bluegreen on this sweepstakes to send Pete to one of Elvis’ favorite cities: Las Vegas, NV,” said Jane Mims, Marketing Account Manager for Elvis Presley Enterprises. Founded in 1966 and headquartered in Boca Raton, FL, Bluegreen Corporation is a leading timeshare sales, marketing and resort management company. Bluegreen Resorts manages, markets and sells the Bluegreen Vacation Club, a flexible, points-based, deeded vacation ownership plan with more than 160,000 owners, over 60 owned or managed resorts, and access to more than 4,000 resorts worldwide. 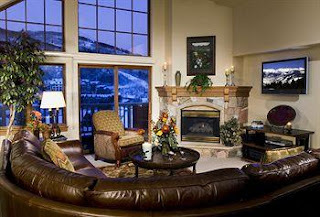 Located in the heart of Beaver Creek, Colorado, is the dual-affiliated mixed-use resort St. James Place, which enjoys both II Premier, and RCI Gold Crown status. Accommodations range from large hotel units to an incredible 4-bedroom that sleeps 12. This is one of those great places where you can walk out of the condo door and up the heated plaza (less than 100 yards) to the main ski lift, and ski-in access trails pass right by it. Among other things, St. James Place has a full exercise facility, large indoor pool, sauna, steam room, indoor and outdoor Jacuzzis, meeting rooms, 24 hour front desk, concierge, and heated underground parking. The open air ice skating facility and the Vilar Center for the Performing Arts, with live entertainment, are also just yards from the front door. Also right outside the front door are shopping and dining, hiking, horseback riding and golf, all on site, and tennis is only two blocks away. This elegant and luxurious resort consistently gets very high ratings from everyone who visits, and can be difficult to exchange into, especially at the height of the winter season. Keep St. James Place in mind for other times of the year, too. The region is always beautiful, always full of activity, and you might have a better chance of getting in. Bluegreen Vacations, a leading provider of vacation experiences, will make a $5,000 corporate donation to American Red Cross Disaster Relief to assist with care for those displaced by Hurricane Sandy, Bluegreen President and CEO John M. Maloney Jr. has announced. In addition, the company will match personal donations by its associates made by November 30, 2012- dollar for dollar- up to $5,000. 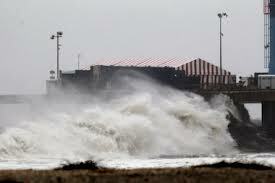 A handful of resorts that are either owned by or affiliated with the vacation club experienced the wrath of Sandy first hand: The Soundings and The Breakers in Dennisport, MA, The Manhattan Club in New York City, Patrick Henry Square in Williamsburg, VA., Shenandoah Crossing in Gordonsville, VA., and Atlantic Palace in Atlantic City, NJ. “Many Bluegreen associates in the Mid-Atlantic and Northeast took great precautions before the storm to protect our resort owners and guests, even as they took steps to safeguard themselves and their loved ones,” Maloney said. Bluegreen Vacations hosts owners and guests at several resorts in the affected area, including Bluegreen at Atlantic Palace on the hard-hit Atlantic City, N.J., Boardwalk. Contributions to the American National Red Cross are tax-deductible to the extent permitted by law. The Red Cross’ tax identification number is 53-0196605. For more information, visit the Red Cross web site. Interval International, a prominent worldwide provider of vacation services and an operating business of Interval Leisure Group announced the addition of six Village Center resorts located in four regions of France: Normandy, Dordogne, Languedoc, and the Oriental Pyrenees. All are new, purpose built properties primarily concentrated in the southern part of the country that borders the northern Mediterranean coastline. “Village Center has been developing and operating great holiday accommodation in popular destinations throughout France for more than 35 years,” said Darren Ettridge, Interval's senior vice president of resort sales and business development for Europe, Middle East, Africa, and Asia. The resorts have gained the distinguished Clef Verte label, the global Green Key eco-rating, in recognition of the developers’ efforts to reduce their carbon footprint. Each destination is strategically located to allow visitors easy access to the cultural activities of the surrounding region, as well as the natural landscapes and sporting activities. 1. Le Clos du Rocher is situated in Les Eyzies de Tayac, the heart of the Dordogne, an area renowned for its dramatic landscape and UNESCO World Heritage prehistoric sites. 2. Les Demeures Torrellanes is less than two miles from Saint-Cyprien in the Oriental Pyrénées between Spain and Andorra — close to prime beaches on the Mediterranean. 3. Côte Vermeille, Les Demeures de la Massane is Located at the southernmost point of France, within 20 minutes of Perpignan, at the foot of the Albères mountains. 4. Côté Green (see photo) sits on an 18-hole golf course in the 444-acre Domaine de Fontcaude greenbelt located in the town of Juvignac in the Languedoc-Roussillon region. 5. Le Domaine de la Corniche will be situated in the Calvados region of Normandy, famed for its cider and gastronomy, as well as beautiful landscapes, sandy beaches, and historic sites. Located minutes from the town of Deauville, it will be convenient to the iconic Mont St. Michel and other points of interest. 6. Domaine de Bacchus will be located steps from the centre of the town of Saint Christol in the Languedoc region. The Provençal-style resort is situated less than half a mile from Saint Christol’s winery cooperative.